A geomettric holiday design. 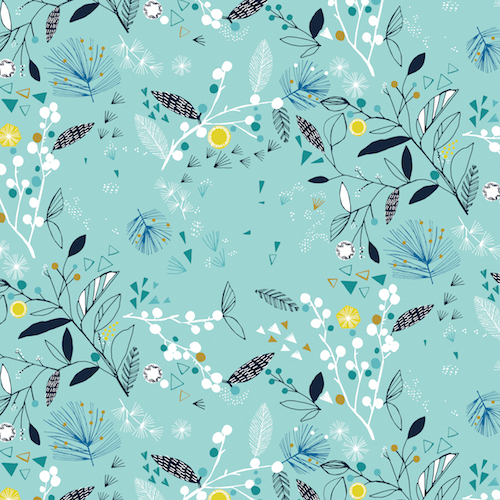 Floral patterns on a light blue background. 100% cotton. 44"-45" wide.